The summons came in the form of a coat-pull from my buddy Phil Overeem, the Christgau of Columbia, Missouri -- a link to a NYT story about the release, on Light in the Attic (the reish label best known for its revival of obscuro '70s Detroit singer-songwriter Rodriguez's career), of Even a Tree Can Shed Tears: Japanese Folk and Rock 1969-1973. The comp documents the music, influenced by America's Woodstock and Laurel Canyon crews, made by musos from Tokyo in the east and the Kansai region in the west, and recorded by indie labels like URC (Underground Record Club) and Elec, as well as major label King's Bellwood imprint. Some of the musos would go on to Western success with later outfits like Yellow Magic Orchestra and Sadistic Mika Band. A couple had been mentioned favorably (Takashi Nishioka's Itutsu No Akai Fusen) or less so (Happy End, Haruomi Hosono's Apryl Fool) in Julian Cope's Japrocksampler. Sachiko Kanenobu married pioneering rock scribe Paul Williams, emigrated to the States, and revived her career in the '90s. While it's well curated and beautifully packaged, I found the music less than inspiring -- at its best when echoing traditional-sounding enka (with its bluesy scale that omits the 4th and 7th degrees), or pioneering depresso rockers the Jacks (unfairly maligned by Richie Unterberger in his All Music Guide bio), who blended their folk balladry with touches of free jazz and psychedelia; less so when taking more literal cues from the likes of the Band and CSNY. It underwhelmed me in much the same way as the German comp Love, Peace & Poetry: Japanese Psychedelic Music (which was packaged with a "WTF?" blonde model on the cover) had. Although that one included several artists Cope had lauded, and I wanted to like it, the overall impression it left was one of mediocrity -- lesser echoes of US and UK models. On the upside, the LITA comp got me thinking about Japanese music I dig but hadn't listened to for a minute. Even before Jon Teague pulled my coat to Boris -- whose massive catalog covers a musical spectrum from harsh noise to doom metal to dream pop -- via a CD-R of Akuma No Uta, I'd owned a copy of Shoukichi Kina's Peppermint Tea House, released on David Byrne's Luaka Bop label back in the '90s. Kina's been called "the Bob Marley of Okinawa," and Richard Thompson covered his "Haisai Ojisan" on the first French, Frith, Kaiser & Thompson album wa-a-ay back in '87. To these feedback-scorched ears, Kina's music sounds like the Japanese pop music I heard as a kid, with traditional-sounding melodies played on electrified Western instruments. The bounce quotient is high, and the music is sprightly and fun, which I see as a plus and is probably what attracted Byrne, as well. Much more to the point is Kan Mikami, who started his career in 1970 as a teenage police academy dropout from the godforsaken northern prefecture of Aomori, playing for cells of student radicals and would-be terrorists (as heard on Live in Kouchi University 1972, a rough audience recording released by his fan club in 2006). Mikami's monochromatic minor key music resembles Delta blues, and he sings over his own minimal guitar accompaniment in a voice as rough-hewn and wildly expressive as Charlie Patton or Bukka White's. Mikami was featured in some of J.A. Caesar's soundtracks for Shuji Teriyama's theatrical productions, and even acted in films. His early, major label records were withdrawn due to their lyrics, which expressed sympathy for criminals. From 1991 to 2010, he recorded roughly an album a year for the forward-looking Tokyo-based label PSF (which stood for either "Poor Strong Factory" or "Psychedelic Speed Freaks," depending) -- an outgrowth of Hideo Ikeezumi's Tokyo record store, Modern Music, where by the late '80s, listeners already exposed to Fluxus experiments and free jazz were tuning their ears to psychedelic rock. In trying to run down some of Mikami's PSF releases online, I discovered that a new US indie, Black Editions, has acquired the rights to the PSF catalog from Ikeezumi, who died this past February, and is undertaking an ambitious reissue program. The first Black Editions release to hit my mailbox was Tokyo Flashback, the first vinyl release (an opulently packaged double LP) of the 1991 CD sampler that was many American listeners' introduction to the likes of High Rise (the explosive power trio who serve as the model for Boris when the slightly younger band isn't being inspired by the Melvins or Pink Floyd), Ghost (a more meditative sounding outfit who like to record in sacred spaces, and have had US releases of their material on Drag City and Now Sound), White Heaven (the band that gave us the John Cipollina-esque guitarist Michio Kurihara, a frequent collaborator of both Boris and Ghost), and Marble Sheep (whose guitarist Ken Matsutani went on to helm the Captain Trip label, releasing crucial material by rockaroll Renaissance man Mick Farren, as well as a 4CD box set of live Doug Yule-fronted VU). I was spinning the fourth side of Tokyo Flashback when my wife looked up from her newspaper and asked, "Who's that? He sounds like he's exorcising demons." Or perhaps he's the demon, I thought, for the artist who'd caught her discerning ear was none other than Keiji Haino, the man whose music represents the sinister heart of the Japanese underground. (Imagine the vibe of Kurosawa's Throne of Blood incarnated in the form of a black-clad specter in dark shades, wearing the same hair style James Earl Jones sported in Conan the Barbarian -- a look pioneered by the Jacks' Yoshio Hayakawa and Les Rallizes Denudes' Takashi Mizutani.) Solo and acapella, Haino's anguished moans and blood-curdling shrieks are bone-chilling. Surrounded by the sturm und drang of his trio Fushitsusha (also represented on Tokyo Flashback), with his coruscating noise guitar riding over the top, it's hard to imagine a more intense music. So now, I'm waiting for my copy of Black Editions' reish of Haino's solo debut Watashi Dake? -- the 1981 album that made its creator's US rep when Fred Frith heard it while visiting Tokyo and took home copies for Lower Manhattan buddies like John Zorn and Bill Laswell -- and hoping they get around to re-releasing Fushitsusha's "2nd Live" from '91 and the two-volume Live in the First Year of Heisei from '90 (on which Kan Mikami is accompanied by Haino and free jazz bassist Motoharu Yoshizawa) sooner than later. Music's a deep well; how fortunate are we. Last Saturday was a veritable Candygram from the gods for your humble chronicler o' events. For just two days after posting a review proclaiming Cameron Smith/Sur Duda's Paper Knife my probable record o' the year (for whatever that's worth), I became aware that Sur Duda was playing that very night at the Grackle Art Gallery, easily walkable from mi casa. So walk I did. While Sur Duda sounded fine at Lola's when they shared a bill with the li'l Stooge band back in September, the intimate setting of the Grackle allowed their true VU 1969 Live magnificence to shine through (down to the snippet of "Sister Ray" in one of the songs). Beyond that, it highlighted the fact that besides its frontman/songwriter, Sur Duda's a band loaded with talent. Absent at Lola's but present at the Grackle was Andy Pickett, a Robbie Coltrane-like presence on electric piano. Andy's a fine, soulful singer and observational songwriter his own self. He's got new material in the pipeline, including this ditty. Guitarist Peter Marsh kicks the traps in War Party, but here he plays simple, economical parts, some penned by Cameron, that compliment and elevate the songs in a way a showier style of accompaniment would not. "It's nice," says Cameron, "'cause sometimes full time guitarists don't wanna do anything that doesn't impress their fingers." Cameron's significant other Stevie Dee nimbly replicates the bass parts that Peter played on the record, while over on the thumper throne, Jesse Gage provides percussive propulsion. It was only after greeting Jesse when I arrived at the Grackle that I remembered that he'd kicked the traps in Brock Miller's Kinks cover band, the Dedicated Followers of Fashion, and that I'd received an email from Dreamy Life Records hyping Jesse's current cassette-and-digital release, Loose Morals in Vintage Florals. Jesse plays all the instruments on a half-dozen slices of prime poppy punk rock (not "pop punk"), singing his cynical lyrics with an Everykid's smirk. My pick to click is "Terror Error;" you'll have yours. Before I had to cut out, I asked Grackle booker Clint Niosi if Sur Duda's backline was the most equipment anyone had ever brought to the gallery. Just then, Darren Miller (Tame, Tame and Quiet)'s new band the 100's (not to be confused with the now-defunct Red 100's) started setting up their half stacks. The couple of minutes of their set I heard were intense and driving instrumental rock with droning guitars and a powerful rhythm section. Good stuff. Cameron Smith/Sur Duda's "Paper Knife"
After the Wreck Room on West 7th Street -- my favorite rawk dump of all ti-i-ime, which I saw as the locus for a community based around music that I'd idealized since I was a kid -- shut its doors in 2007, my wife and I were like stateless people for awhile, trying to find new spots to dock. We were never really regulars at 1919 Hemphill or the Where House, but we dipped our toes in those scenes while they existed. (I'm still waiting for someone to document them the way we did our old haunt with Wreck Room Stories.) Eventually, my bands were able to gig at the Chat Room, a dive over in the funky-but-chic Fairmount district, and the now-defunct Fairmount, a former gay bar a few blocks east of the Chat, but a bridge too far back when all the storefronts in that part of West Magnolia Avenue were dark by show time. In 2012, I stopped gigging on a regular basis, but was still able to observe the blossoming of the Fairmount district into a thriving hip enclave with anchors like the Chat and its impresario Brad Hensarling's other watering hole The Usual; pioneering vegan eatery Spiral Diner; local roasters Avoca Coffee; the Boiled Owl Tavern; and old favorite Benito's Mexican restaurant (across the street from which an old ally of mine will be opening a record store, Panther City Vinyl, later this year). Leon Bridges' breakout success (Major label contract! National TV appearances!) put Fairmount on the map for folks from elsewhere who follow such things, while no less an authority than Texas Monthly has hailed the Near South Side 'hood as a scene to watch -- and Cameron Smith as a key player in its development. Since 2011, Smith has fronted War Party, a punkish outfit with roots in earlier forms (from the Belmonts to the Kinks and Velvets) whose stock in trade has been its leader's smart songwriting, wedded to unusual instrumental textures (their lineup includes a full-time trumpet player, but their sound is redolent of neither jazz, nor Cake). In 2015, War Party's label Lo-Life Recordings joined forces with fellow musos (Year of the Bear, the Fibs) Jennifer and Robby Rux's label Dreamy Soundz to birth Dreamy Life Records, a concern which has documented Fort Worth's indie scene on over 40 releases -- so far -- in various media (cassette, CD, and vinyl, as well as digital), and grown to include a small record store co-located with the Fairmount Community Library, and Cloudland Recording Studio, also located on the Near South Side. This month, Dreamy Life is releasing Paper Knife, Smith's most fully realized solo work to date, and it's a corker, consolidating all of his strengths and presenting them in sterling settings he crafted with the able assistance of co-producers Peter Wierenga and Britt Robisheaux. Smith's lyrics are observational and only occasionally obtuse, and they tumble out as though he has a lot on his mind and wants to make sure he gets it all across, with a delivery that alternates between casually slurred lines and others that soar with longing. The backing musos -- War Party drummer Peter Marsh on guitar and bass, Jesse Gage (Movie the Band) on drums, Andy Pickett (an estimable songwriter himself, with a self-titled album about to drop) on keys, and flautist Alex Rhea -- provide solid support that makes the songs shine. "Baby Teeth" kicks the door open with a rumination on crossing over from innocence to experience, with a subtle nod to Leon Bridges and an '80s pop bounce: "They don't tell you selling out is more innocent than unemployment / They don't tell you getting soft just means living how you want to live....But they don't call it paying dues when you're in there washing dishes / They only call it paying dues when their hands are holding tickets." "Long Hands" bespeaks alienation over sleek post-punk sonics: "Every face in this place has got something to hide / I've been thinking a lot about where I call home / Every square inch of space in this room is occupied / and in a crowd this size, I'm always alone." "Royal Jelly" is an electric piano-driven garage rock pounder (shades of the Remains! ), leading into the title track and lead-off single, wherein Smith wearily slogs through the day-to-day hoping for redemption (sounding for all the world like Paul Westerberg or Joe Strummer circa Sandinista! ), with a guitar hook that'll imprint itself in your synapses on the first or twelfth listen. "It's Whatever," which Smith introduced at Lola's back in September as being about "what your kids think," examines the disconnects between parents and adult children. The doleful beauty of "Rearrange the Room" harks back sonically to the heyday of the Smiths and Joy Division, while "Lie In It (Sunshine)" captures the angst of searching for moments of peace in a country at perpetual war: "I saw bodies falling from buildings when I was in school / and the live feed is streaming still -- It's cruel / but it's hard to let go of a battle habit, / especially when you're still in love with it." In "Fort Night," Smith expresses some ambivalence about the community he's helped create, over backing that chugs along like primal VU, with backup vocals that fairly ooze ennui: "When the sun goes down the neighborhood really comes alive / But lately I've been drinking, thinking I'd rather see it dead again." Paper Knife's deceptive simplicity reveals new levels on each listening. This might just be the best new record I've heard this year. "The World of Captain Beefheart (featuring Nona Hendryx and Gary Lucas)"
A few weeks ago, I was stoked to stream a hot set by the reunited members of Ornette Coleman's Prime Time Band (augmented by David Murray, Wallace Roney, Badal Roy, and Marc Ribot) from an unlikely venue: San Francisco's eclectic Hardly Strictly Bluegrass festival. The band after Prime Time was Cheap Trick. Go fig. But it made me unreasonably happy, not just because they played well, but because such occurrences are a sign that Ornette's music continues to be performed and heard by new audiences after its creator's passing. Hendryx herself has bulletproof Lower Manhattan underground cred, having gone on to perform with Talking Heads, her own New Wave outfit Zero Cool, Bill Laswell's Material, and the Black Rock Coalition. She'd previously sung Don's songs at NYC's Bowery Poetry Club for a 2011 Beefheart tribute organized by Jesse Krakow (ex-Doctor Nerve, who played with Lucas in the Van Vliet repertory unit Fast 'N' Bulbous and is the bassist and co-producer on the record under consideration here), and at an Amsterdam Paradiso event that featured a 65-piece orchestra playing Beefheart tunes. Lucas has also performed in Magic Band reunion groups that included original Beefheart drummer John French. With French having announced his retirement following a series of shows this year (including one in Austin where he was backed by Churchwood), Lucas is the last Magic Band veteran still playing this music. He knows the material well enough to synthesize two and even three guitar parts, when necessary. The World of Captain Beefheart documents Hendryx's Amsterdam set, backed by a stripped-down four-piece (guitar, bass, drums, keyboards) in place of the orchestra. The selection of tunes reminds us that Beefheart music wasn't all one thing. Besides the jagged dissonance that made Don's reputation on monumental albums like Trout Mask Replica, Lick My Decals Off Baby, and Doc At the Radar Station, there was Safe As Milk's garage psychedelia, The Spotlight Kid's doomy swamp music, and the accessible -- even danceable -- R&B-flavored rock of Clear Spot and Shiny Beast. Hendryx draws on each of these strains, starting out in Clear Spot territory with a take on "Sun Zoom Spark" that grabs you by the lapels and shakes you with its shuddering syncopation, gliding into the beautiful soul ballad "My Head Is My Only House Unless It Rains," showcasing Don's often-overlooked lyricism with a vocal approach that makes the song hers for a minute. Safe As Milk opener "Sure 'Nuff 'N Yes I Do" gets a treatment closer to the Delta than Ry Cooder et al. originally gave it. Keyboardist Jordan Shapiro throws a little barrelhouse piano in among the "Rollin' and Tumblin'"-isms, and Lucas' snaky slide slithers all over. "Sleep with me, and I'll sleep with you," indeed. "I'm Glad," another song from Safe As Milk, is as close as Don ever came to Smokey Robinson's turf, reminding one that the Magic Band started out as popular locals, playing for car clubs in the high desert. Hendryx and backup vocalists Kiki Hawkins and Keith Fluitt take it all the way uptown. "The Smithsonian Institute Blues" is a sturdy piece of ecology crank-ism from Lick My Decals Off, Baby, released back around the time of the first Earth Day; Hendryx invests it with a repose that might indicate resignation, or that she's seen worse. "Her Eyes Are A Blue Million Miles" is another Clear Spot item, on which Hendryx's soulful approach manages to reconcile its blues and its lyricism. Lucas' solo recalls Jeff Beck around the time his Stevie Wonder influence started showing. I think I first heard "Suction Prints" from a tape of the '73 show at NYC's Town Hall that Lucas mentions in the liner notes. After that, I had it on several bootlegs before seeing Don open with it twice with the '75 Magic Band (Walley-Tepper-Feldman-Williams) -- a revelatory experience in which I realized that what I'd previously thought was chaos was actually through-composed, while hearing musos different than the ones on the record playing Trout Mask songs note-for-note. The tune itself, a crashing-and-thumping instrumental that winds its way through several sections, never fails to speed up my heartbeat. I can feel Richard Dorkin's kick drum in my solar plexus. Feels good. And the absence of trombone makes it sound more like what I originally heard than the version on Shiny Beast. Hendryx and Co. pay a visit to Trout Mask via "Sugar 'N Spikes," a relatively lighthearted bit of wordplay with backing that is alternately playful and majestic, and the insane stop-and-go of "When Big Joan Sets Up" -- which today sounds like an early commentary on body shaming; Don was ahead of his songwriting contemporaries in more ways than one. Hendryx's vocalismo only comes up short when she's imitating Don's constricted-larynx falsetto. She's back on familiar turf with the Stax-ish romp "Too Much Time" from Clear Spot, on which she sounds more at home than the song's author. Oh, to have heard Sharon Jones sing this! To these feedback-scorched ears, they might have saved the best for last. The Spotlight Kid's "When It Blows Its Stacks" -- which Krakow previously covered with Doctor Nerve -- juxtaposes doom-blues with a delicate melodic interlude, and Lucas' solo summons the shade of Winged Eel Fingerling. They close the program with the carnivalesque and slightly menacing "Tropical Hot Dog Night," which had me scratching my head when I first heard it on Shiny Beast but now just might be my favorite Beefheart tune of all. While this is the kind of project that makes old fans dig out their albums, it also works on its own terms. This band sounds like it'd be a blast to hear live. Hy Maya's "The Mysticism of Sound and Cosmic Language"
Smog Veil's "Platters du Cuyahoga" series continues to bring us unheard gems from the '70s heyday of Cleveland's musical underground. This latest is the logical successor to last year's release of the Robert Bensick Band's French Pictures in London and the more recent one of Allen Ravenstine and Albert Dennis' Terminal Drive. Hy Maya was an amorphous experimental ensemble, led by Bensick, which included Ravenstine, Dennis, and future Pere Ubu drummer Scott Krauss among its regular participants. 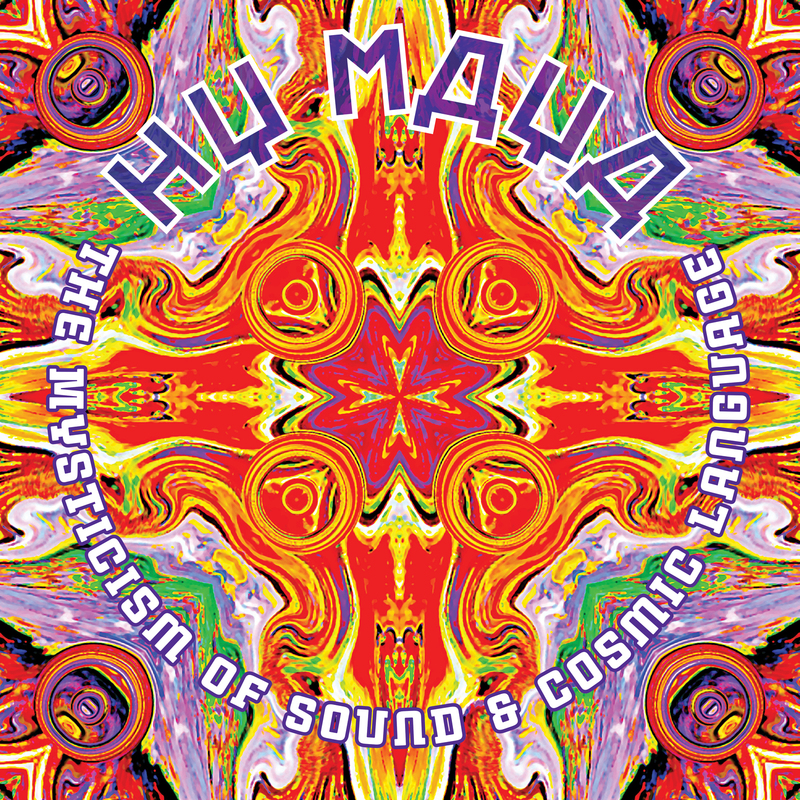 The Mysticism of Sound and Cosmic Language compiles live and studio recordings, most made during the second half of 1972, to provide a snapshot of their visual art-inspired sound. (Their first gig was an art exhibit of Bensick's at Cleveland State University.) The album drops on November 24 in double LP and CD or digital download formats (the latter two including six worthwhile bonus tracks, Bensick's incandescent flute features "Amplified For Clarity" and "Orb Overview" among 'em). The tape transfers, sequencing, and mastering were the last work undertaken by longtime Pere Ubu engineer Paul Hamann, who died in September. The estimable Nick Blakey does his usual exemplary job of research and documentation. On "Consumption of the Core Self," Ravenstine's synth and tape manipulations provide a sinister introduction and contrast to the rolling acoustic sound of Cynthia Black's piano arpeggios, while on "The Fabric of Time and Space," they create a lysergically pastoral atmosphere worthy of Barrett-era Pink Floyd. "Is This the Moment (Antimatter Does Matter)," a nonlinear collage of sounds from the debut gig, and the studio-recorded "Left Brain Reflexions (Quantum Entanglement)" demonstrate that Hy Maya was exploring territory in the early '70s which bands like Ghost and Sunburned Hand of the Man would continue to inhabit in the 21st century. Some of the material borders on jazz: "A Quantum Mechanic Mambo (Bigfoot)" sends Bensick on safari through an electronic jungle like Miles on Get Up With It, while the opening salvo of the home-recorded "Hold the Holograph (I Think Now I See)" is Ravenstine rampant, with Krauss shadowing him every step of the way. On the live-at-the-Cellar "Ship of Fools (Dissolving the Contradiction)," Bensick blows flute squiggles and then declaims over a two-chord vamp and another motorik beat. 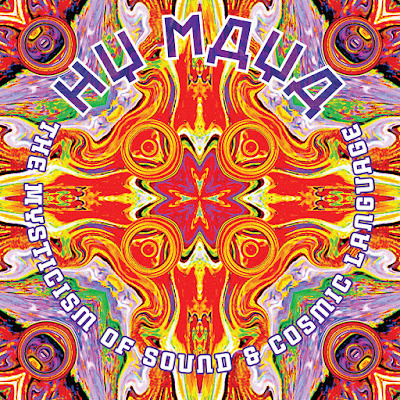 Replete with sonic surprises, The Mysticism of Sound and Cosmic Language is a fascinating and multifaceted listen, ahead of its time and vibrantly resonant in the present.